/ Modified apr 15, 2016 12:11 p.m.
Also on Arizona Spotlight: Chris Dashiell reviews "The Thin Yellow Line"; and a woman realizes her Japanese garden dreams in Tucson. More than 260 Holocaust survivors came to Southern Arizona after the War. 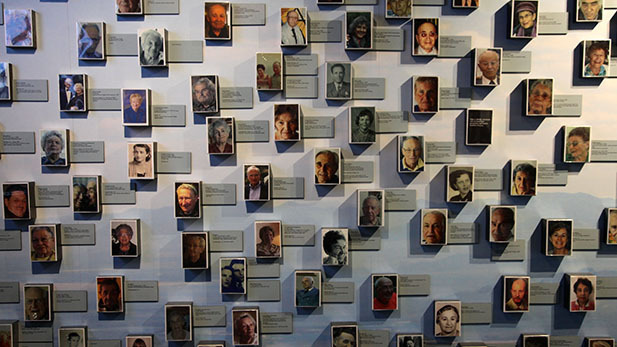 Their testimonies and portraits are on display at the Holocaust History Center. Film writer Chris Dashiell looks at La Delgada Línea Amarilla, "The Thin Yellow Line", a new film from Mexico about a group of impoverished men hired to paint the yellow line on a hundred miles of desert highway in just a few days. The film's director, Celso Garcia, will visit Tucson next week to receive the Tucson Cine Mexico Jaguar Award for Feature Directorial Debut from The Hanson Film Institute... The screening is free, but registration is required. 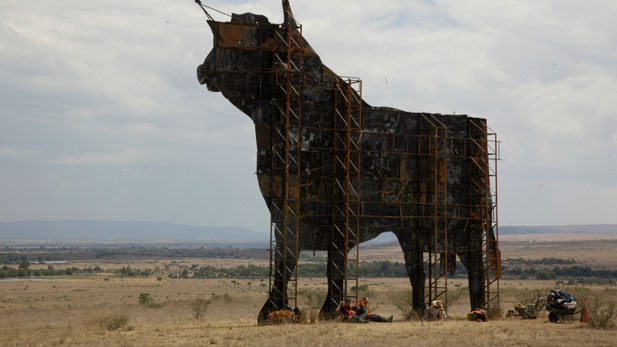 A scene from director Celso Garcia's "La Delgada Línea Amarilla" or "The Thin Yellow Line".